When it comes to gaming, you surely place a premium on expensive peripherals if you feel that you want to remain at the top of your game always – after all, let’s just say that if your mouse is slightly faster thanks to its wired connection that has gold-plated USB connectors, it is worth every penny since it might mean the difference between life or death in that particular fragfest. Mad Catz has long been a name associated with quality gaming peripherals, and they have just worked to release a new exclusive range of co-branded, licensed audio headsets for the Xbox 360. These headsets will be co-branded under the TRITTON and Xbox 360 brands, where it will comprise of a couple of wireless headsets and a wired headset. After all, gaming audio is a vital cog in Mad Catz’s business, and is touted to be a key growth driver in the immediate future. Expect these new headsets to ship in time for the holiday season this year, where we will look at them in greater detail in the extended post. This model is touted to be the first truly wireless Dolby 7.1 surround sound headset for the Xbox 360 in the world, so don’t expect to be tethered to your Xbox 360 in any way, letting you play in the laziest of postures that you are accustomed to while gaining the ability to hear every single footstep made by your opponent. As for the TRITTON Devastator Wireless Stereo Headset, this is also a wireless model that will offer Selective Voice Monitoring (SVM), delivering clear, balanced stereo sound, analog input, where it will be juiced by a couple of AA alkaline batteries. 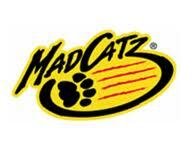 I’d like to see a madkatz headphone puck for the xbox1 !